This mod is deprecated, which means that it will only get bugfixes and won't be updated to 1.8 and further: Use Custom Stuff 3 instead. The mod allows you to easily create unique content for Minecraft. It is highly customizable and is a lot easier than creating regular mods. If you ever wanted to create your real own stuff but modding is to hard for you, this mod is for you! The created stuff in Custom Stuff 2 is organized in "mods" whose are basically directories with sub-directories for blocks, items, etc. This makes it easy to share them. Notice: You are not allowed to release your mods in the mods section of the minecraftforum. The reason for this is that Custom Stuff mods don't contain any java files. This is not my decision but the forums one. If you want to share your mods, you can do that in the Custom Stuff wiki. There is a community driven wiki for Custom Stuff: Wiki Since this is a community driven wiki, everbody is allowed to add stuff to it. The more people adding stuff to it, the better it gets. You can report bugs and make suggestions here. Also if a bug is listed there do not post it here again. 1. Install Minecraft Forge (10.13.4.1492 or newer). Backup your world before any update! - fixed possbile crash when using removeRecipe? - fixed custom crafting tables are slow? - fixed player stuck on custom chests? - fixed Custom Stuff prevents Minecraft from correctly draw the HUD. - added the generation of a 'CS2InformationFile.txt' file that contains all biome, potion, ore dictionary and liquid names that are available in your minecraft. - added Thermal Expansion, BuildCraft and Railcraft support. The added functions are available for the mod object. - fixed (hopefully) a major performance issue. - fixed empty bucket doesn't get filled with custom fluids. - fixed problems occuring when using different tile entities for different metadatas. - fixed damage value of all kind of itemstacks is always 0 when using aliases. - fixed tile entity data with names doesn't work. - fixed onNeighborChange and onRedstoneSignal don't work for torches. - fixed player doesn't get any damage at all. 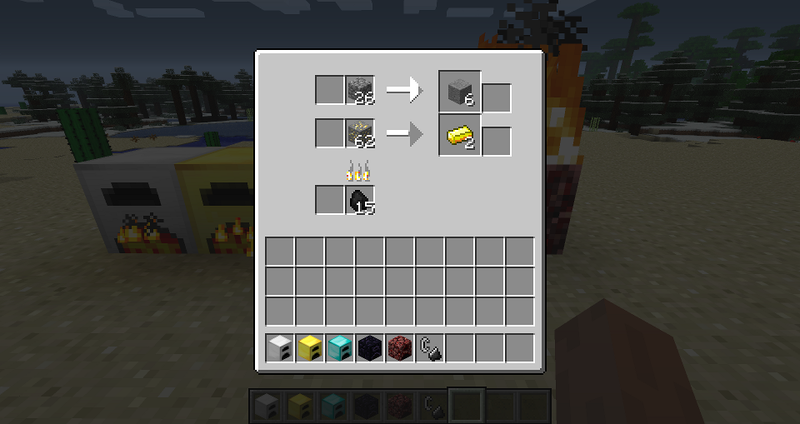 - changed the guiFile default value for furnace to "/gui/furnace.png"
This mod adds a new chest to the game: the Multi Page Chest. This chest can store up to 585 stacks of items. Don't have lacks of space anymore! 1. Install Minecraft Forge (11.14.3.1450 or newer). 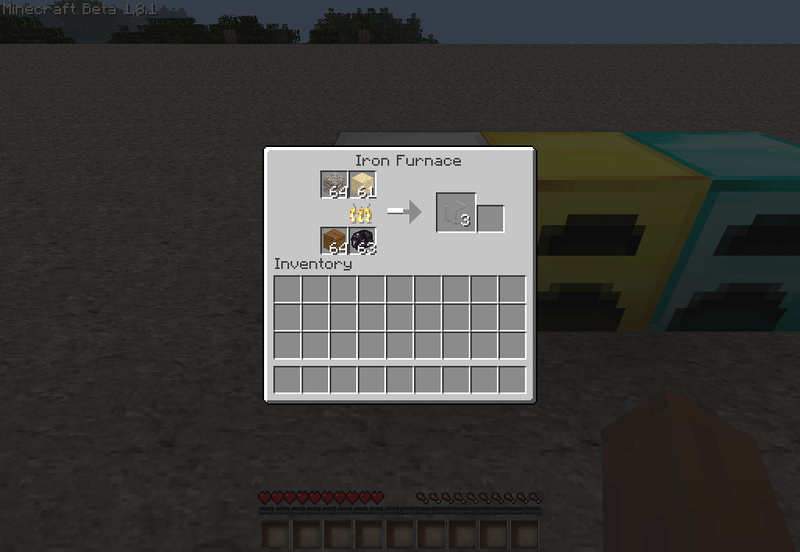 This mod adds five furnaces to the game. An iron, a gold, a diamond, an obsidian and a netherrack furnace. 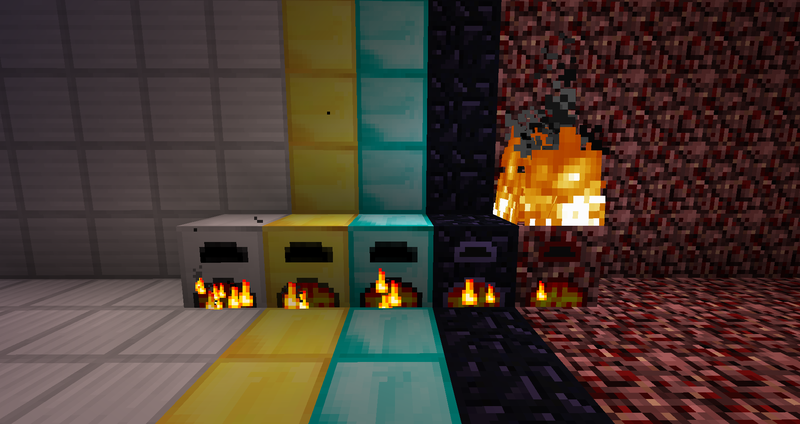 Each furnace has different abilities like smelting speed or dual smelting. 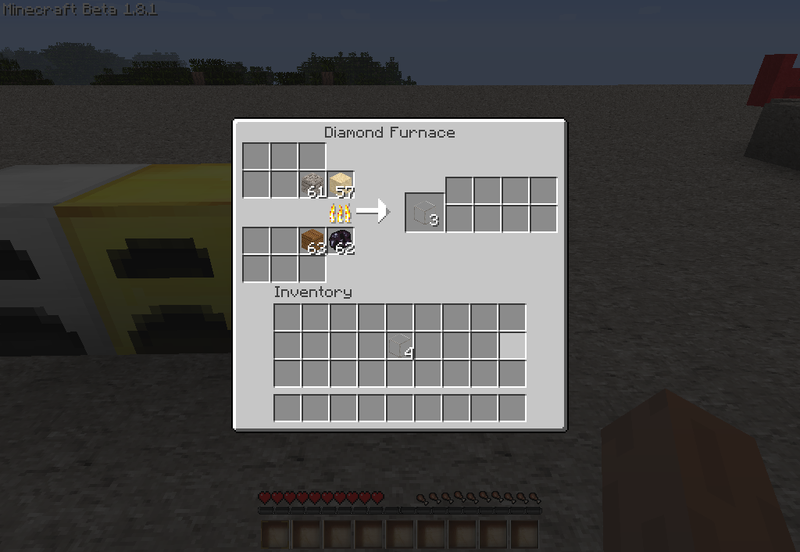 If you like smelting stuff, this mod is definitely for you! Iron Furnace The iron furnace is 1.33 times faster and uses 1.25 times more fuel than the normal furnace. Gold Furnace The gold furnace is 2.5 times faster and uses 2 times more fuel than the normal furnace. Diamond Furnace The diamond furnace is 5 times faster and uses 4 times more fuel than the normal furnace. Obsidian Furnace The obsidian furnace can smelt two items at once, is as fast as the iron furnace and uses 2 times more fuek than the normal furnace. Netherrack Furnace The netherrack furnace doesn't need any fuel. It smelts items whenever fire is on top of it, but it takes the furnace 90 seconds to smelt one item. This mod adds a new item to the game: Chest Transporter. This item allows you pick up a chest with its items and place it somewhere else. You can also pick up chests from a storage minecart and place it in a normal minecart. But while you have a chest in your inventory, you dig and walk slowlier, have more hunger and can not jump over one block. It also works with Multi Page Chest, Iron Chests, CompactStorage, Iron Chest Minecarts,Storage Drawers and Extra Carts. 1. Install Minecraft Forge (1.8-11.14.3.1553 or newer). If you are updating from 1.2.0, you MUST use your transporters before updating or else the chest and its contents will be lost. This mod adds a new item to the game: Whole Tree Axe. This axe harvests all connecting wood blocks. The axe has 59 uses. The idea and the icon is from Kasdar. 1. Install Minecraft Forge (1.8.9-11.15.1.1764 or newer). If you like any of these mods and you have a few bucks left, feel free to donate. Any amount is highly appreciated and makes it possible for me to spend more time on working on the mods. This document is Copyright ? 2011 - 2016 and is the intellectual property of the author. It may be not be reproduced under any circumstances except for personal, private use as long as it remains in its unaltered, unedited form. It may not be placed on any web site or otherwise distributed publicly without advance written permission. Use of this mod on any other website or as a part of any public display is strictly prohibited, and a violation of copyright. Mod packs: You can include these mods in mod packs. You may not make any money with it and the place of distribution must contain my name (CubeX2) and a link to this thread. I'm on twitter: @CubeX2_. Follow me for upcoming features and other stuff ;). Why Do People Slaughter Pigs, We Should Leave Them Alone And Go Back To Our Digs. This. Give us pics, show us exactly how it works. If you use a bed in the Aether, you get free diamonds! But you should see the pics. I can see these pics. Exactly how many recipes did you add to this mod? I didn't add recipes. You can add recipes to the game with this mod. wait so you can make a certain combination of items to give you something else with out writing a single java code? Right. You only need the Ids from the Items. But you can't overriding existing recipes. ahh i see so it only works with the existing items to create other already existing items in minecraft am i right? Yes but you can also add recipes with items from other mods. 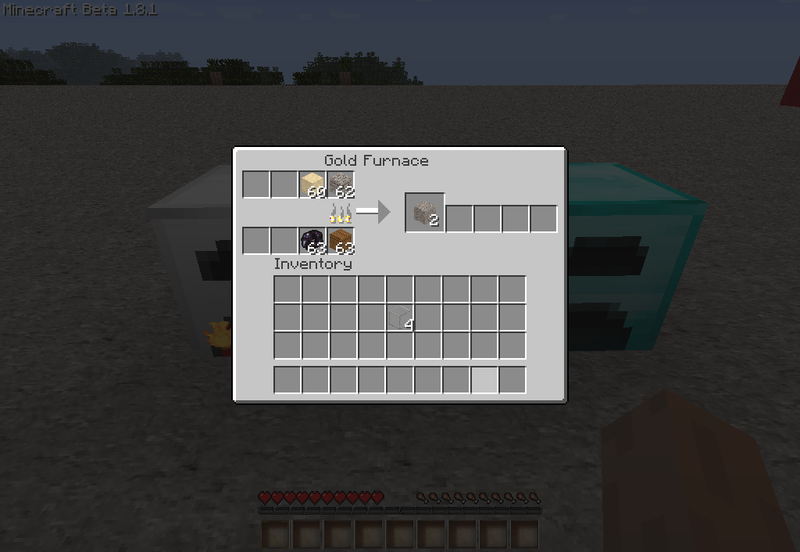 Added a new mod: More Furnaces. Updated Custom Recipes to 1.1.
excellent mod. I have been looking for something like this. You should add [SMP] to the title. itmakes it easier for those of us looking for server mods. 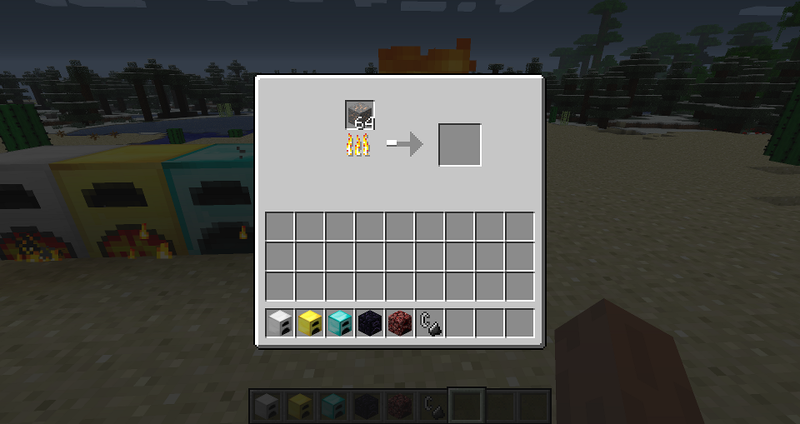 Renamed Custom Recipes to Custom Stuff and updated it to 1.2.
what exactly does the custom ore generation stuff do? It adds blocks you choose to the ore generation. 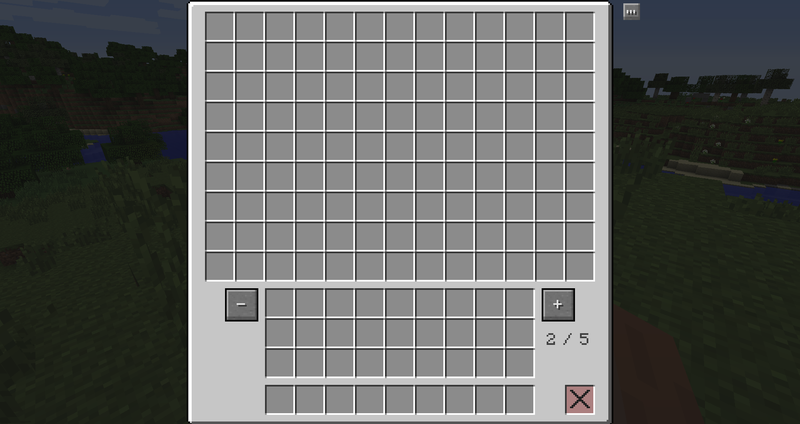 The block you choose is then generated like coal, iron or diamond. I will add better descriptions.